Today I have added a Grant A Wish Spell to my book of Power Spells, and also an article about Colour In Magic And Witchcraft. I hope you enjoy the updates, and may all your wishes come true with the help of the new spell! Greetings! This week I have 2 updates to share with you. Firstly, I have added a House Protection Spell to the AllMagicSpells grimoire. The spell is used to bless and protect your new house (or your old one!) against dark entities and evil, to keep your house pure, good and full of peace, light and love. Give it a go and see what a difference it makes to spending time in your home. The Theban Alphabet dates back as early as the 12th century. 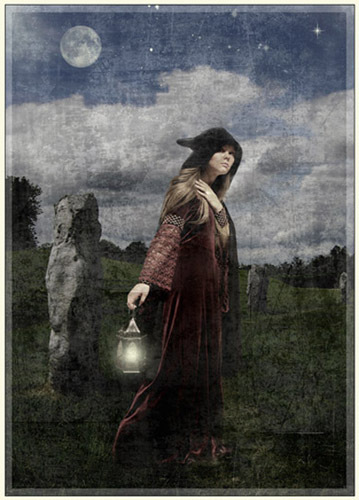 It has been used over the last few centuries by witches, Wiccans and Pagans as a means of hiding their magical writings and spells from unwanted observers. It also helps to give your writing a very powerful magical quality – give it a go. Until next week, peace and light, and blessed be! You are currently browsing the All Magic Spells News blog archives for June, 2010.